Presentations are listed in alphabetical order by speaker/moderator. Click here for Featured Speaker presentation descriptions and bios. There has been much conversation in our industry in recent years on Succession Planning, focused on how to implement a planned transition for your financial planning business at retirement. However, there has been less conversation about Continuity Planning, when there is an unplanned interruption of your business, due to short- or long-term disability, permanent disability, or unexpected death. Most ACP firms – both solo practitioners and small firms – are ill-equipped to handle these situations. The ACP System Committee has developed an “ACP Continuity Program” for ACP advisors to help cover their practices should disability or unexpected death occur. A “Roadmap” for each firm to identify the “key contact” in case of disability or death and to document all of the key information required to operate the business – including software, passwords, professionals contacts, custodians, financial information, where to find client information, and more. The establishment of an ACP Continuity Committee to assist the “key contact” during the disability or after a sudden death of an ACP advisor and provide guidance and urgent assistance, as needed. A Process and Guidelines for notifying clients of the situation and guidelines for how to engage other ACP advisors during the period of disability or after an unexpected death, including suggested schedules for compensation when advisors step in to serve clients during disability and/or take on clients after death. Templates of related documents, including: (1) client consent form to temporarily assign their financial planning work to another ACP advisor; (2) letter to clients with notification of disability or death; and (3) letter of agreement between ACP advisors. During the annual ACP renewal process, ACP advisors will have the ability to choose to participate in the Continuity Program. This session will walk you through the program, the process, the requirements, and the benefits of participation. This program expands ACP’s services to all members and is relevant to both solo practitioners concerned about continuity as well as advisors in multi-advisor firms. Identify a key contact for your company in case of an unplanned interruption in your business. Learn what critical information is required (and should be safeguarded) to run your business: software, passwords, professional contacts, custodians, financial information, and more. Establish guidelines and protocols for notifying clients and engaging key stakeholders during the unplanned interruption. You likely have, or will have clients with multiple rentals. Even with a single rental, it can be challenging to pull all the pieces together for a client when advising on rental property. Full analysis can include current and future year cash flows, appreciation, basis tracking, tax consequences, allowed and carryforward losses, recapture of depreciation and more. Clients who own rental property can take advantage of this new, value-added tool (including timing transactions, income fluctuations, Roth Conversions, sales, and more) if you have identified and updated the parameters that matter. The Rental Analysis Spreadsheet allows you and your client to evaluate each rental separately, and as a unit of properties. It’s user friendly for the client, formulaic in most updates, and dependent on some input from you. It is also useful to project the effect of a new or planned purchase of rental property on a client’s overall financial situation. In this breakout session we will demonstrate how to maximize the use of this Rental Property Analysis Spreadsheet with some real examples. Be able to contrast present cash flow advantages/disadvantages with the overall tax advantage of owning a particular rental. Analyze individual and aggregate capital gains/losses including recaptured depreciation and adjusted basis for sale of a rental. Provide clients with a spreadsheet that includes formulaic data updates based on their own input and your tax focused input for analysis in meetings on cash flow, retirement planning, and tax planning. Due to recent regulatory changes for in-home care, many cases are being driven toward first-party employment (direct hire) in order to save tens of thousands of dollars each year. Tom Breedlove, director of Care.com HomePay, the country’s leading household employment specialist, will share information that advisors need to know in order to present care options and successfully guide their clients. Understand the implications of recent regulations on in-home care and why many cases now have a major financial incentive to move from third-party employment (agencies) to first-party employment (direct hire). When families choose to hire privately, understand the key payroll, tax, labor law, and insurance compliance issues, and help guide families to avoid risk and save money. Gain access to free tools and resources that can add value to your practice. More and more families are moving toward privately-employed caregivers in order to save tens of thousands of dollars each year in care costs. In doing so, families have to address important tax and labor law issues on a federal, state and local level. Tom Breedlove of Care.com HomePay will share insights as well as free tools and resources that can be leveraged to eliminate the work and worry associated with household employment. Understand how to access free tools and resources to aid your families in decisions related to care in the home. Understand the common mistakes and how to help your clients mitigate risk and save money. As the financial services industry continues to change and become more and more complex, the need to… stand out… in our client’s minds becomes more and more important. Branding, differentiation, pricing that is competitive and profitable—all important considerations. But in the end these things alone will not create the lasting impression we want for our clients. It is the client’s experience where we have the opportunity – good or bad – to create that lasting impression. When done well, we create something memorable for the client and drive loyalty for our brand. Recent research by Wade Pfau suggests that using the financial plan to drive asset allocation decisions over time - changing the basic stock/bond split - improves portfolio longevity and is consistent with Kitces and Pfau’s findings in their paper “Reducing Retirement Risk with a Rising Equity Glide Path.” Professors Huxley and Burns will share the latest research that links the financial plan to portfolio construction. See the new empirical evidence from 2017 research demonstrating why it is better to drive the stock/bond split with the financial plan than rebalancing back to a generic model portfolio. Recognize the value and behavioral benefits of linking investments directly to the financial plan with dynamic asset allocation brings to your clients’ economic welfare. See the role that the critical path plays in guiding rebalancing decision and managing sequence risk. Kelly Adams, Harbor Light Planning; Hannah Basil, Basil Financial Group; Brennan Guli, Lighthouse Financial Advisors, Inc. The “hot prospect” you have been speaking with for the past few weeks has agreed to sign on as a client. Great! Now what? The “on-boarding process” is one that all types of professional and service organizations go through. And it is often the one these organizations describe as requiring more efficiency and automation. As financial planners, this process is critical to starting off our new client relationship right. So. what’s the best way to do it? This interactive panel discussion will explore some of the best practices utilized by fellow ACP advisors who feel their methods and processes have been effective during the key initial time period with clients. The panel will be comprised of advisors with diverse backgrounds, including multi-advisor as well as solo practices, advisors who utilize the ACP methodologies, and others who have crafted their own. Attendees should expect to walk away with new ideas and methods successfully incorporated into other practices to improve their very important on-boarding process. On-Boarding best practices utilized by other ACP members and their firms. Potential pitfalls or other mistakes made by advisors that caused them to adjust their on-boarding practices. A review of the official ACP On-Boarding process by advisors successfully using it. Learn new and innovative on-boarding methods by advanced practices who have crafted their own process. Christopher Currin, Mercer Global Advisors, Inc.
An introduction to the basic financial and estate planning facts of life for people with intellectual or developmental disabilities. What strategies help create a secure and meaningful life without undermining eligibility for essential public benefit programs? I'll explain how I modified my basic planning approach to help families deal with these issues. I'll also include stories of community inclusion and financial integration for adults with disabilities. Understand the four public benefits programs that form the foundation of a lifetime support plan for a person with a disability. Understand lifetime gifting and estate planning mistakes to avoid and choices that can provide support without endangering access to public benefits. Become aware of ABLE Act plans and how they might enhance a family strategy for supporting their relative with a disability. What technology solutions do you license and invest your time and effort in to be successful? Don’t reinvent the wheel, learn all you can from the recent ACP Technology Survey to better set up your technology roadmap. What technology solutions do successful advisors typically make use of? How does your firm’s technology approach compare to others? How do ACP firm’s technology solutions compare to non-ACP advisors? Building 15-year bond ladders is a staple approach to providing cashflow in retirement within the ACP philosophy and paradigm. Is this the best we can do for clients, or is there a way to make improvements w/out selling out? Improving fixed income returns while still holding true to your values (safety trumps yield). Ever wonder what it’s like to jump off of or onto a moving train? Sometimes exiting an established practice or buying into an existing practice can feel a bit like this scenario. However, our moderator and three panelists have all navigated this feat successfully in one way or another and will share their insights into the process. Karen Folk founded Folk Financial Planning in 1999 shortly after obtaining her CFP® license. She immediately joined ACP and adopted the ACP system. Karen recently retired from Bluestem Financial Advisors, LLC, a multi-advisor practice she co-founded with Jacob Kuebler in 2011. Irfan Bhabhrawala purchased an established firm in 2016 after less than two years in the industry. He joined the practice and started working on the transition with the owner almost immediately. Irfan and the previous owner worked out most of the deal structure and transition plan themselves, but engaged a firm to help finalize the deal and paperwork. Chris Currin sold what was a solo ACP member firm to a much larger practice in 2016 and continues to work for them as a lead advisor. The major challenges so far have been switching to a new set of software programs for almost every aspect of work and sorting out the transition from fixed-fee retainers to AUM pricing. The benefits include more time and energy available for working with clients and a dramatic increase in growth. Greg Reeder purchased part of McClarren Financial in 2017 after working at the firm for nearly six years. Prior to becoming an owner, Greg held roles as a paraplanner, junior advisor, and now lead advisor at the firm. He is new to running a business and learning with the help of ACP members. Options for exiting stage left: Selling to the next generation or to an outside firm? What the next generation and outside firms look for when purchasing a practice? What are – or should be – the concerns of buyers and sellers in these transactions? The path from a solo to an ensemble practice is one that can be navigated any a variety of ways. Join ACP member Dave Gardner for a panel discussion featuring three ACP firms that have successfully grown from smaller solo or silo practices into successful ensemble firms. Panelists Penny Marchand, Jim Davis, and Jake Kuebler will share key decisions and strategic moves they have made to get where they are today, as well as challenges they experienced along the way. How and when to make and execute key staffing decisions. What an efficient strategic planning process looks like. How focusing on firm culture impacts these decisions. Many of your retiree clients have significant home equity that is illiquid and unavailable to help them meet their retirement goals. Consider clients, 62 of age, with a home worth $663,150 can put a credit line in place of $237,000 and see the line grow to well over a $1 million in 20 years; even if the value of the home does not grow. All for a one-time cost of $124 in most all states. This credit line example is the most popular strategy with financial advisors: 76% of their clients (2016) used the credit line. The most common use of the credit line is when clients have no long term care insurance. Imagine a client being able to draw $1 million from the credit line to pay for their spouse’s nursing home care. This session will also include case studies featuring the other common uses of a reverse mortgage, to include the second most popular use: using a reverse mortgage to eliminate mortgage payments for older clients. Note: 44% of all financial advisor clients that used a reverse mortgage in 2016 had mortgage debt! Gain an understanding of the most popular reverse mortgage program, backed by the federal government, so you can educate your clients on the facts about this often misunderstood product. Learn how to use a reverse mortgage credit line can help any clients for whom you have concern about possible health care costs. Learn all of the common uses of a reverse mortgage so you can help more clients meet their goals and enhance their retirement security. Frank Corrado, BlueBlaze Financial Advisors; Judy McNary, Confluence Financial Advisors; Jane Young, It’s Not Just Money, Inc.
A crucial cornerstone to providing tailored, meaningful financial planning to our clients is truly understanding what they care most about. Many ACP advisors address this by using the standard ACP Goal Setting meeting to better understand what’s most important to their clients. However, over time, advisors evolve and find new tools and methods for making the most of the goal setting process with clients. Review the importance of the goal setting process in the ACP methodology. Learn qualitative goal setting exercises used by a few successful advisors in subsequent years after the initial visioning exercise. Discussion of the role of tracking goals vs. strictly qualitative orientation goals exercises. Learn how three comprehensive financial planners create "tax alpha" by integrating tax planning into their retainer practices. We will discuss the value to clients, implementation tools we each use, and go over some specific tax-saving strategies we use with our clients. Advisors will learn how integrating tax planning into their practice will improve the services their clients receive. Advisors already offering tax planning will learn how to develop best practices. Advisors and potential advisors will learn the value and benefits of ACP’s tax-focused approach. In the last few years, student loan debt in America has accelerated in its upward race toward unsustainable levels. Americans now owe over $1.4 trillion in student loan debt, with the average 2016 graduate carrying a debt of $37,172. This balance is now $620 billion higher than the total American credit card debt, and increases by nearly $3,000/second. Considering the continuing rise in college tuition, this balance is only expected to increase. While the situation may seem hopeless, a series of federal programs designed to combat the rising debt problem have afforded a measure of control to many borrowers. The Income-Driven Repayment plans, most recently represented by the REPAYE plan, are alternative federal repayment plans whose monthly payments are determined by a qualifying borrower's discretionary income. This reduces the immediate burden of these debts, in exchange for longer repayment periods and potentially higher total repayment. Borrowers under these plans may also be eligible for federal student loan forgiveness, after a period of time. Each of the income-driven repayment plans. The ways that these plans can affect, or be affected by, other aspects of a financial plan. Discuss income-based alternatives to the standard 10-year federal loan repayment plan. Explore the advantages and disadvantages of each plan, as well as Public Service Loan Forgiveness. Explain how student loan repayment planning can, and should, be incorporated with cash flow and tax planning. Al Davis, Meredith Briggs, and PJ Wallin are experiencing significant growth bringing in new, ideal clients. This session features a panel discussion with these three ACP members who will share their success strategies for identifying prospects and turning them into clients. The discussion will be moderated by Judy McNary and there will be time at the end of the session for Q&A. How members have grown their firms marketing to ideal prospects. How members have articulated the value of the relationship to convert prospects to clients. How to apply these techniques to your own firm. In this session, we’ll show how three key ingredients are involved in each client relationship starting with the meet through years of client relationship. Showing your value, asking for the business, and earning your fee! First you must gain an understanding of their needs and show them how you will fulfill those needs. You must ask for and expect them to pay for the pleasure of having those needs met and their pain relieved. Once you’ve convinced them you must do it! Earn that fee, relieve that pain so they will spend again and tell their friends how fantastic you are. From the first moment you connect, you have entered what we hope is a never-ending cycle of Showing, Asking and Earning. You know the ACP System gives you a leg up on working with clients, you have a fee calculator you can make your own and know you are charging fairly for you and your clients, and you'd better be using SPARC in your appointments! But let’s leverage those tools with deeper understanding of how you show your value, all the while keeping your mouth shut for much of the preliminary appointment. I want to give you the confidence to ask for the business you want – be that the very first get acquainted call or meeting or your first $25,000 retainer! If you want it you ask for it. If you don’t, I want you to know you can NOT ask for it too! Once you have that client I want to challenge you to think outside of the box, off the shelf, and in really new ways so that your clients are experiencing such a fantastic client engagement they are totally comfortable referring new, practically closed, clients. We’ll talk about making sure you are making that referral process easy for your clients. It isn’t just willing, it is also able that counts in the referral game. Attendees will learn how active listening and keeping your mouth shut does more for closing a client than all the "show"ing in the world. We'll dig into exactly what that may mean and how to put it into action - without talking too much! Participants will hear simple tips on asking for the business they want and that it is OK to pass on some business. They will learn that, as much as we hate "selling", asking for the business comes into play from the moment you first meet a prospective client through to renewal time. Participants will be armed to provide exceptional customer service and a client experience that their clients are happy to share with referrals, because referrals are the best way to start with an already partially closed new client! The presentation will inform the ACP member on current compliance and regulatory areas of interest by the SEC and the States, with a focus being on the increasing scrutiny of the retainer fee model by state regulators. The presentation will inform the ACP member on current compliance and regulatory areas of interest by the SEC and the States, with a focus being on the increasing scrutiny of the retainer fee model by state regulators. More and more state regulators are questioning the retainer fee model, with some even disallowing it entirely, despite growing interest in the adviser community to use this fee structure and a migration away from the asset under management fee. This presentation will discuss the increasing regulatory scrutiny of the retainer fee, the legal basis (or lack thereof) of the states in regulating advisory fees, and will provide ideas as to how an ACP advisor can prepare for an examination when using this fee structure. I. SEC’s 2017 examination priorities. II. Recent NASAA model rulemaking areas. III. Regulatory oversight of advisory fees. a. Unethical business rules at the state level versus SEC’s lack of authority based on “unethical practices”. c. The erroneous 2% AUM standard applied by the states. d. A shifting of the burden to the adviser to demonstrate the fee is reasonable. IV. Preparing for “deficiencies” when the examiner applies an AUM fee to the retainer fee. a. Make and keep good documentation of the services provided to each client to justify the fee. b. Periodically review firm’s fees charged overall to determine if the fees are consistent with services for the scope and complexity of the engagements. c. Clear disclosure in ADV. The ACP member will understand the fiduciary obligation surrounding advisory fees. The ACP member will learn of the regulator’s authority to oversee advisory fees. The ACP member will know how to prepare for an examiner’s scrutiny of a retainer fee engagement during an examination. 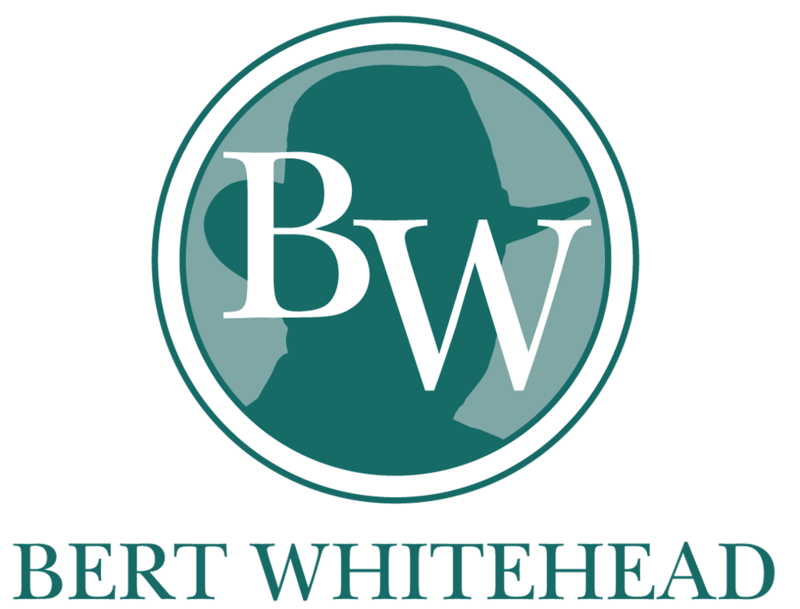 Bert Whitehead, Cambridge Connection, Inc.
Bert Whitehead, the developer of the original Cambridge System and founder of ACP’s predecessor organization, the Alliance of Cambridge Advisors, has championed the holistic approach to fee-only tax and financial advisory services. Bert has been advising clients since 1972, is the author of 10 books, and is routinely quoted in the national press. Bert will share the best and worst of his long and storied career. Bert’s company is based on the belief that fee-only compensation and a fiduciary relationship are vital components of the goal to place the interests of the client above all others. Learn how Bert developed the ACP philosophy and incorporated it into his day-to-day practice. Learn how to avoid the pitfalls and identify problems before they happen as Bert discusses his worst professional failures. Don’t reinvent the wheel, discover what works based on decades of experience as Bert discusses his greatest professional wins. There has been a significant amount of research on reverse mortgages, much of it led by John Salter, PhD, CFP. Along with Harold Evensky, John's seminal research on the use of a reverse mortgage credit line as a retirement distribution tool (see Journal of Financial Planning, 2012) to improve the probability of successful client outcomes and legacy values. John and Harold's work helped change the view of reverse mortgages in the financial planning industry, and their "standby" credit line strategy is now used by one out of every three financial advisor clients that has a reverse mortgage. After explaining the basics of how reverse mortgages work, John will review all of his research on reverse mortgages, to include his recent study of the optimal ways for retirees to finance the purchase of a home as part of rightsizing. Spoiler alert - paying all cash is NOT the best idea! You will learn how reverse mortgages work and the various payment options available. Learn how to use a reverse mortgage credit line to mitigate sequence of return risk. Learn how a reverse mortgage can be used by clients when rightsizing and how this finance strategy can increase the probability of their retirement plan being successful. Technology needs as a firm grows. ACP methods – when is it ok to deviate and when is it not. This presentation will highlight the major conclusions and/or advice that was discussed at the retreat. We all have a favorite TV show that we watch every week. So we thought what if TV imitated life? In this hour-long presentation, we’ll delve into important insurance needs through an American TV sitcom “The Big Bang Theory” that can easily be related to any of your clients. Layering term insurance policies for specific needs or conversions when your client continues to need coverage. Disability insurance through a young single scientist. Is group coverage enough if your client has coverage at work? New DI programs for young professional that cover student loans to retirement protection. What to do with an inherited annuity from a family member. Designing LTCI policies to keep up with cost of care increases. Adding spousal policies for cost savings. Difference in care through gender. Since day one LLIS’s business model has revolved around fee-only financial advisors (FOFAs). With advisor’s suggestions and requests LLIS has created a seamless, secure, automated quote to application process for FOFAs and their clients. And our present with ALLiS, a 24/7 secure advisor access to clients’ insurance application processes and policies. How LLIS’s 20+ member allows FOFAs to concentrate on growing clients’ wealth, not insurance industry shifts. Understand how a team of dedicated subject matter experts can streamline your clients’ insurance selection process. Realize that insurance policy service doesn’t end when their clients get their policies. See how LLIS’s proprietary technology is improving your clients' experience (and yours) and keeping you informed. The ACP Compensation Committee is devoting 2017 to learning what successful ACP members do to run a profitable practice: How they capture efficiencies, what services they offer, how they charge, and other tips and strategies that set them apart. Through surveys, interviews, and serious analysis, the committee wanted to know “what is the secret sauce” to success the ACP way. This presentation will share their findings which will help all participants run their practices more efficiently and with better profitability. It is a perfect presentation to end the conference, as you will walk away with more ideas and enthusiasm to take back to your practice. It can be a challenge to construct income ladders from bonds calibrated to generate a stream of cash flows that exactly matches the income over a precise time horizon that best fits a client's financial plan. This presentation demonstrates the technology that does this with a few clicks of a button. Learn what is now available online to make what can be a tricky calculation very quick and very easy. See how the coupon payments and redemptions line up mathematically to provide an almost precise match. Compare the costs of municipal vs. corporate vs. government bonds to choose what best fits your clients' needs.